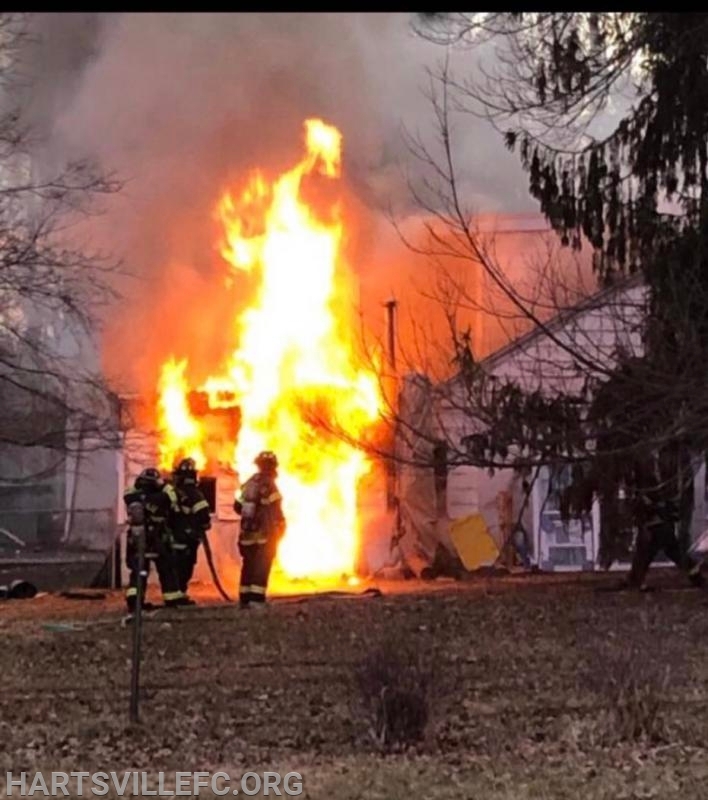 Just before kick off on Super Bowl Sunday tactical box 66-16 was dispatched for a reported dwelling fire on the 1600 block of Meetinghouse Rd in Warwick township. Chief 93 (Gottschall) arrived on scene followed by Chief 66, to find a single family dwelling with visible fire from the back of the house. 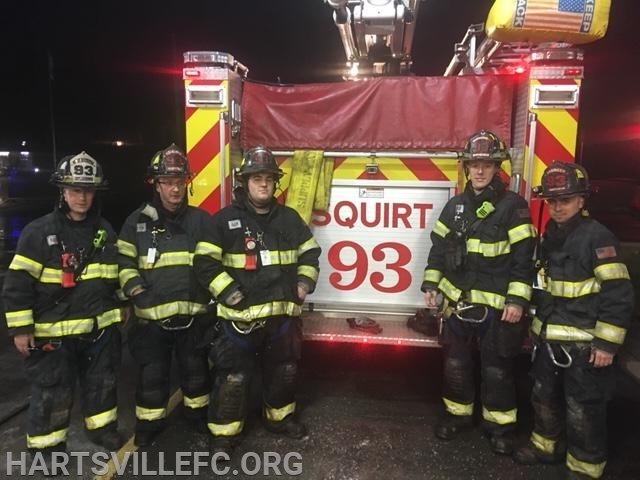 Squirt 93 (Lt. Moritz Jr.) arrived on scene and advanced an attack line to contain the fire. Tower 66 arrived and stretched a backup line. Engine 93 (Ast. 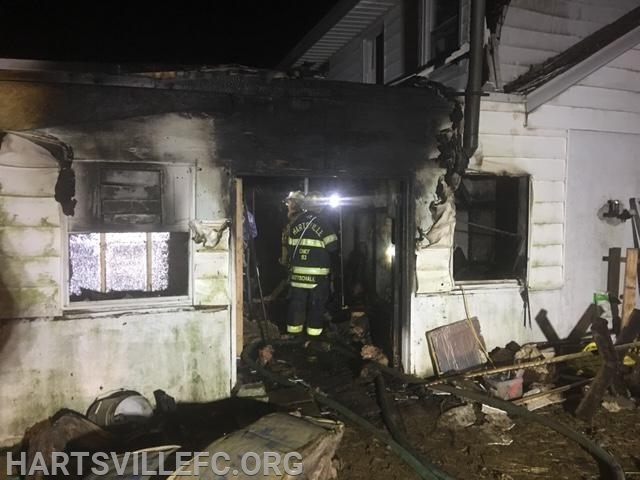 Chief Mullelly) arrived and assisted in checking for extension and overhaul. SS 93 (K. Moritz Sr.) arrived and assisted with fire ground support. Mutual aide crews from Warminster, Warrington, Northampton, the Bucks County Tanker Task Force, Central Bucks EMS all assisted at the scene. 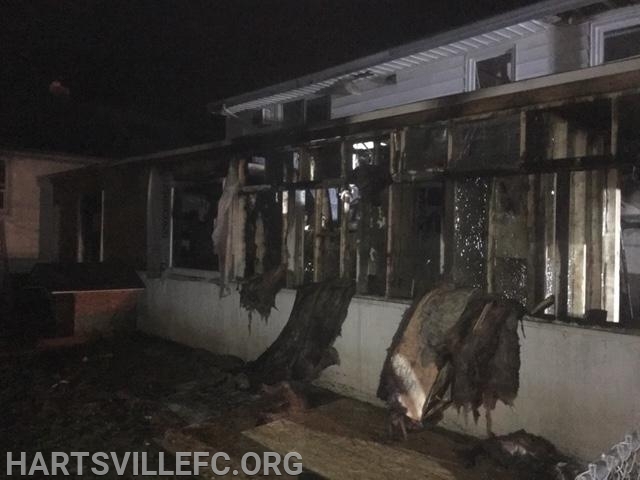 The fire is currently under Investigation by the Warwick Township Fire Marshal's office.